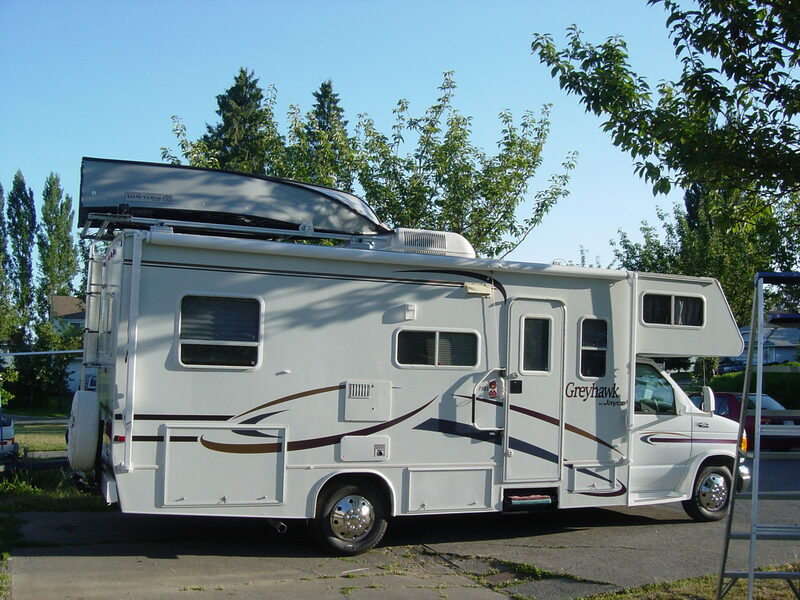 Totally customizable solutions that will take any recreational vehicle and load it onto your vehicle. 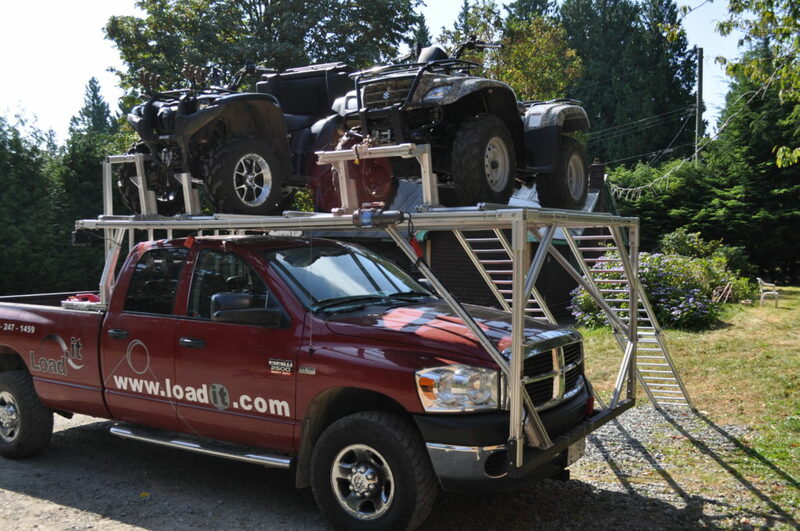 Load-it Industries has safe, simple and extremely durable solutions for loading watercraft and ATVs. Engineered out of lightweight, aircraft grade aluminum these products can handle whatever standard recreation dishes out! All hardware is stainless steel, not just zinc plated, making our loading systems rust free as well as maintenance free. Since our inception in the spring of 2005, we at Load-it Industries have made it our passion to mold our products to the needs of our valuable customers. With a focus on continual improvement, we strive to lead the pack in cutting edge watercraft loading technology. We're proud to create the most versatile and user friendly loading systems available in today's market. Our exceptionally adaptable and incredibly durable product is a result of the commitment we have to you, our customer. We're here for YOU! Our desire is to work to offer you the highest quality products, utilizing the latest technology, at a customer friendly price. It's our pleasure to develop and innovate new ways of making your recreation as safe and stress free as it can possibly be. From the Load-it Industries team, thank you for taking the time to visit us. Our best seller by far. The tried and true. Got an Idea? We can make it happen! Boat Motor Trailer Loader...Take everything with you, including the kitchen sink! The push of a button on a wireless remote places your watercraft on top of your vehicle or right in the water! Our watercraft loaders accommodate boats, kayaks, canoes, pontoon boats, inflatables, etc. We've even loaded ladders! The loaders are adaptable to almost anything with four wheels - pickup, motor home, camper, trailer, fifth wheel, SUV, van, etc. No more backing down ramps! The Load-it ATV Quad Loader lets you drive on and off your pick up in the forward direction. 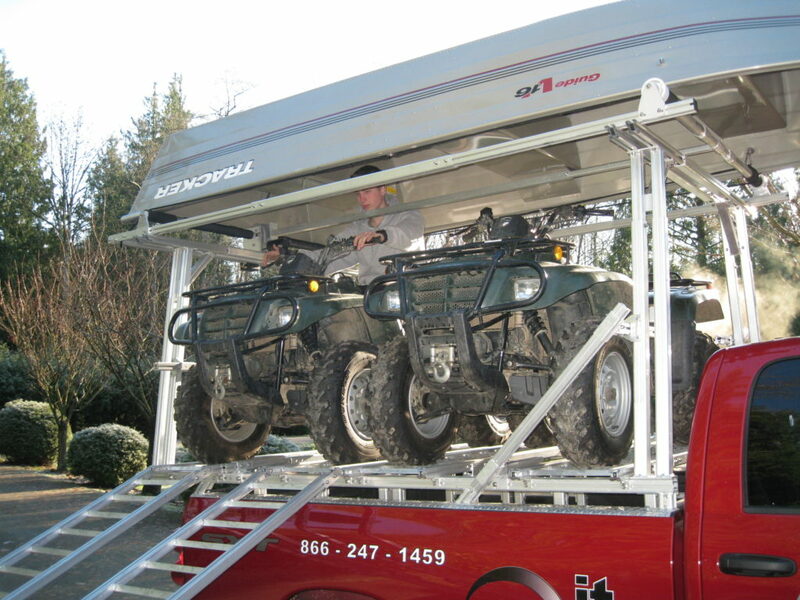 Fits two ATVs sideways and secures them - no tying needed! The unique design leaves room under your ATVs for storage. Need a quote to outfit your rig?